Functional behavior assessment is becoming a commonly used practice in school settings. Accompanying this growth has been an increase in research on functional behavior assessment. 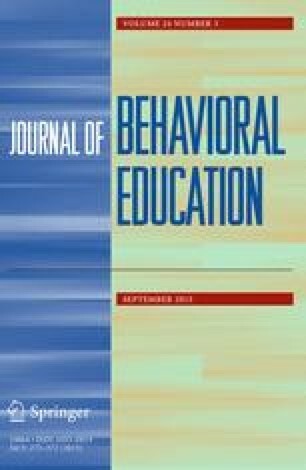 We reviewed the extant literature on documenting indirect and direct methods of functional behavior assessment in school settings. To discern best practice guidelines and directions for future research, we evaluated studies to identify the (a) type of FBA used, (b) participant characteristics, (c) settings in which functional behavior assessments commonly were conducted, and (d) trends in the use of various methods of functional behavior assessment over time. Durand, V. M., & Crimmins, D. B. (1988). Identifying the variables maintaining self-injurious behavior. Journal of Autism and Developmental Disorders, 18(1), 99–117. doi: 10.1007/BF02211821.